Sign for Capri Italian Restaurant, 313 E. State Street, in downtown Rockford, Illinois. This white stucco building has a long family tradition imported from southern Italy. 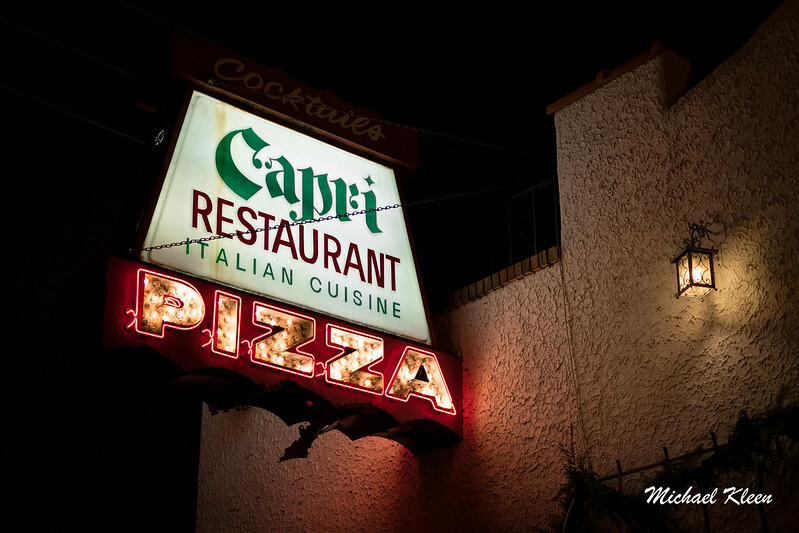 Vito Michele Grisanzio and his brother, Domenic, bought The Capri Restaurant in 1963 and Vito has worked there ever since. He’s now joined by his wife and their three grown sons. 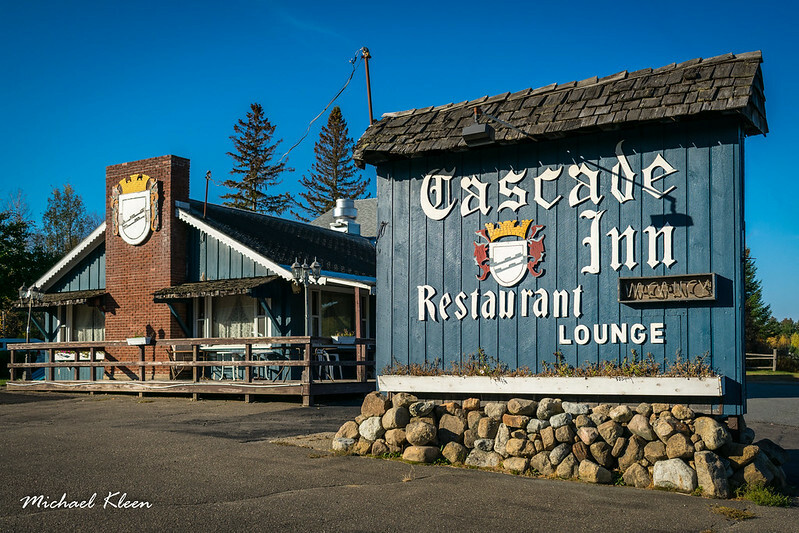 Don’t let this beat up old sign fool you – the food is great and the dining room is lovingly maintained. Coles County, Illinois is an unusual place. I should know, I wrote an entire book about it. Students at nearby Eastern Illinois University often wonder why there is no Burger King, the ubiquitous fast food franchise, anywhere in the county. That’s because a court decision in 1968 banned the fast food franchise from a 20-mile radius around a locally-owned Burger King in the town of Mattoon. Confused? In 1957, local business owners Gene and Betty Hoots opened a burger joint in a two car garage called Burger King, to compliment their ice cream stand Frigid Queen. The name was Betty’s idea. She thought it had a nicer ring to it than “Hot King” or “Hot Dames“. They registered “Burger King” as a state trademark. In 1961, a Florida-based corporation called Burger King began opening franchises all over Illinois, and Gene and Betty Hoots sued. In Burger King of Florida, Inc. v. Hoots (1968), the federal 7th Circuit Court of Appeals ruled that national trademarks had priority over state trademarks, but granted the Hootses a concession: they could keep their business name, and no corporate Burger Kings could open within 20 miles of Mattoon. “One time they offered us $10,000 to put one in, but we told them to get lost,” Betty Hoots told the Illinois Times. Today, the closest place you can buy a Whopper is in Tuscola, 22-miles north. You can, however, buy a Hooter Burger, lemon ice cream, or a butterscotch shake. In 2015, Gene and Betty Hoots finally sold their restaurant to a partnership called BK Ventures, LLC (I guess their son didn’t want to carry on the family tradition after all). Local businessman Cory Sanders planned to make improvements to the restaurant, but keep the menu mostly the same. The Original Burger King, at 1508 Charleston Avenue in Mattoon, Illinois, is open all-week long from 9:00 am to 10:00 pm. They don’t have a website, but you can call (217) 234-8122 for more information. 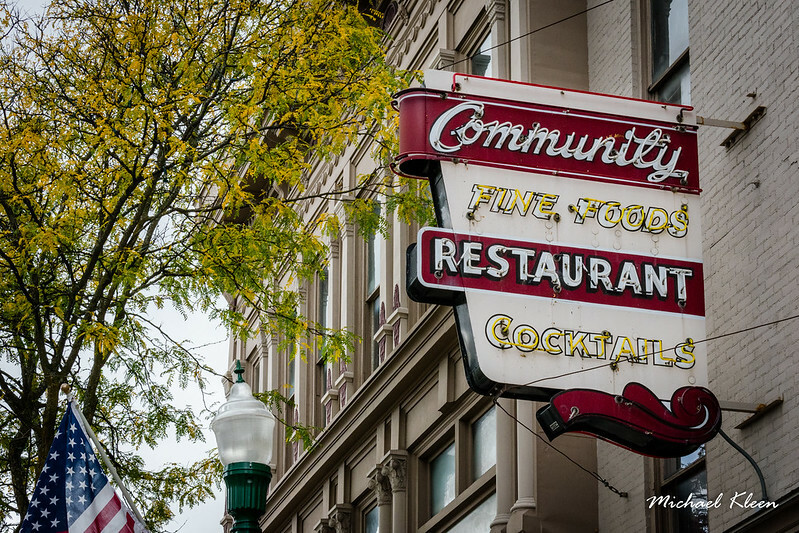 Neon sign for Community Restaurant at 10 N Main Street in Cortland, New York. Opened at this location in 1930. 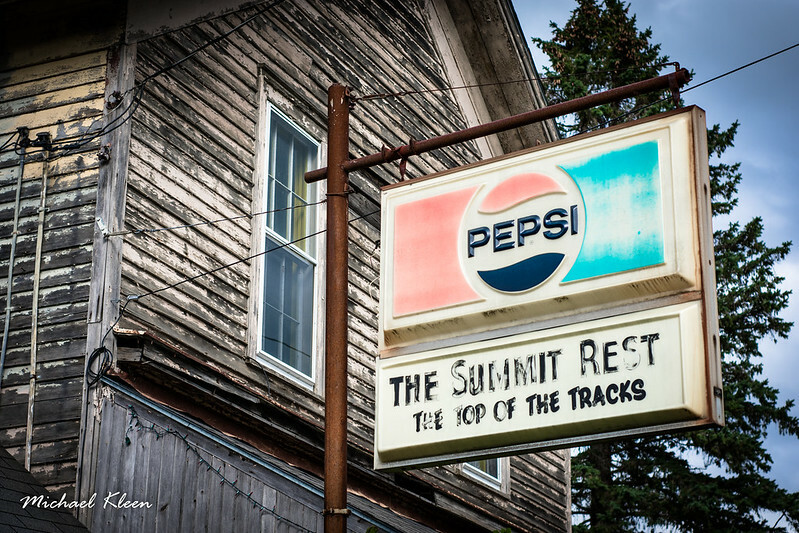 Sign for The Summit Restaurant “The Top of the Tracks”, along Route 80 in Apulia Station, New York. It looks like this place hasn’t been open for many years. 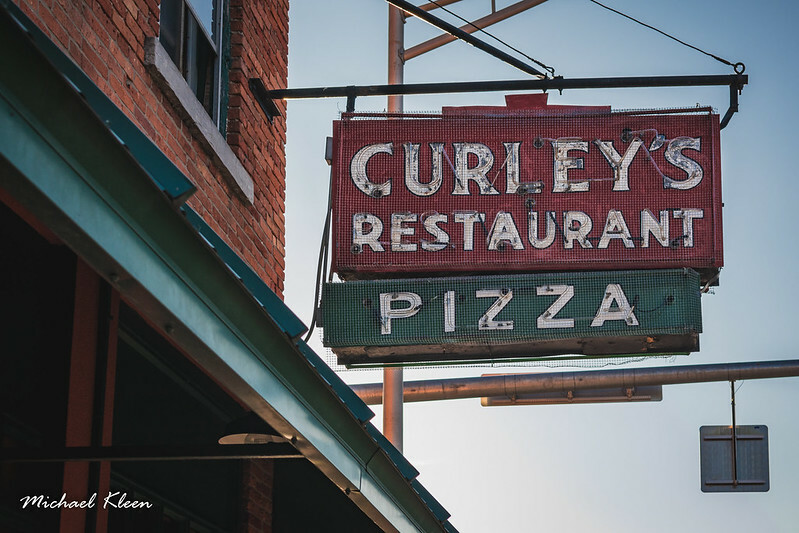 Vintage sign for Curley’s Restaurant, at 96 State St. in Auburn, New York, opened in 1933. 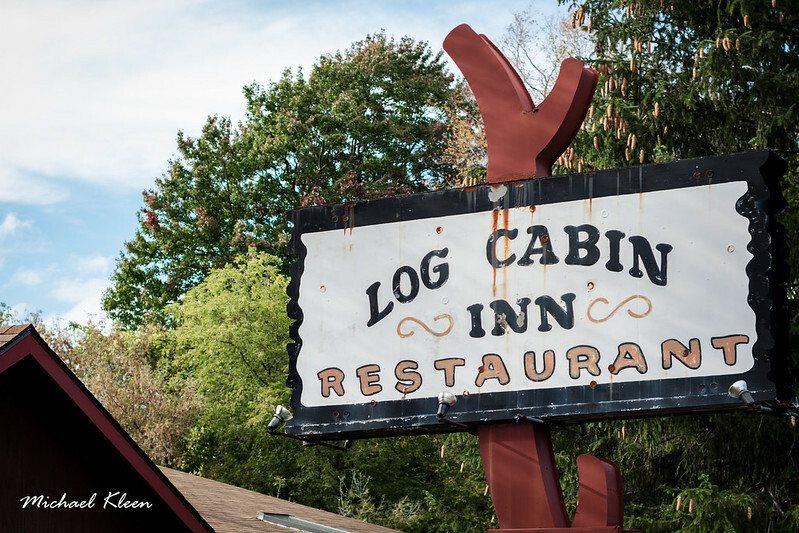 Sign for the Log Cabin Inn Restaurant at 2813 US Route 11 in LaFayette, New York. Sign for the Cascade Inn Restaurant and Lounge “where the locals meet and visitors are always welcome,” 5023 Cascade Road (New York State Route 73) in North Elba, New York. I love the Gothic letting.